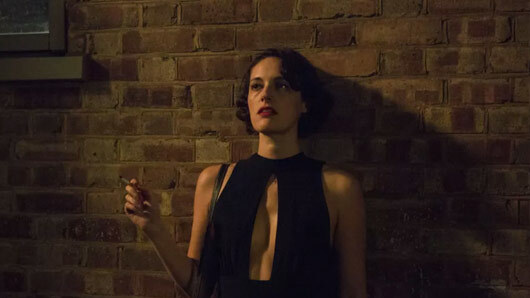 Fleabag has unveiled an exciting new fourth wall twist in Monday’s episode. As fans of the show will know, the eponymous main character, Fleabag (Phoebe Waller Bridge), often breaks the fourth wall to make comments to the audience. It’s a technique used across media, including notably in Netflix’s House of Cards. The third episode of season two shakes things up. In the episode, Fleabag meets with the priest (Andrew Scott) set to marry her father and step-mother, with whom she feels a connection. She turns to the audience to say their being ‘friends’ won’t last a week, and then something strange happens. Fleabag shoots the audience an expression of surprise, and the episode continues. It’s a smart and very original twist on the fourth wall trope, to the point we’re not sure what to call it. Did Fleabag just break the fifth wall? Is this an expression of the priest’s connection with God, to have some sort of holy senses? Either way, we’re excited to find out more as season two continues on the BBC. Fleabag airs on BBC One on Monday, March 25 at 10.35pm.